With a four-day weekend (or longer if you’ve taken advantage of the Mega Weekend deals!) just around the corner, it’s time to start planning your Easter escapades. If a getaway isn’t on the cards this year, that doesn’t mean you should feel confined by the city limits. There are so many mini road trips you can go on that will allow you to explore some beautiful destinations in your own home state. So, this Easter weekend, jump in the car and head out on one of these fuss-free day trips. Just don’t forget to pack some Easter eggs for the road! Located within the glorious Great Dividing Range, the Blue Mountains are the ultimate day trip destination. 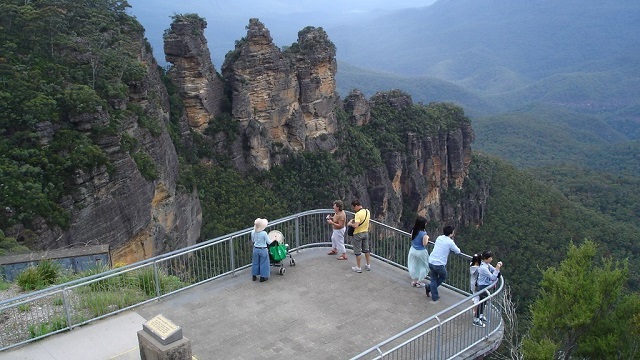 One of the most famous attractions in the region is the Three Sisters rock formation, which is a hop, skip and a jump from the adorable town of Katoomba. Just down the road you’ll find Leura, which offers some incredible restaurants and one indulgent chocolate shop, while nearby you can find Wentworth Falls, the Lawson Waterfall Circuit and countless scenic lookouts, include Echo Point. If you’re craving some fresh country air, high tail it to Kangaroo Valley this Easter. Nestled among lush rainforest, the township boasts a charming tearoom, an old-school country pub and a number of other boutique shops and eateries. Nearby, you have the spectacular Fitzroy Falls, which offers an 80-metre water drop. All in all, it’s a picturesque day out. Get your fill of sandy shores and ocean breeze in Port Stephens, one of the NSW North Coast’s most popular holiday destinations. Though the drive is longer, it can be broken up with pit-stops anywhere along the Central Coast or in Newcastle. Once you arrive in Port Stephens, you can hire a kayak or stand up paddle board to explore the region’s coastline and sheltered bays, or use pedal or foot power to hit a track in Tomaree National Park. Tuck into a serving of fish and chips by the water in the afternoon before making your way back to Sydney. There are so many reasons to visit this gorgeous old gold mining town this Easter. First of all, there’s the Easter Festival, which runs Friday through Sunday and features a whole range of activities and events for all ages. Then there’s the new ‘Tudors to Windsors: British Royal Portraits’ exhibition that has just opened at the Bendigo Art Gallery. And if that’s not enough, Bendigo is also bursting at the seams with incredible cafes and restaurants that are in and of themselves worthy of the drive. Time permitting, Castlemaine makes a great stop enroute. The Macedon Ranges is one of Victoria’s many regional treasures. Visit the mysterious Hanging Rock, stop by the darling gardens of Tieve Tara, go for a walk through the lush Macedon Regional Park, visit an art gallery or two and grab lunch in one of the quaint townships in the area, such as Woodend or Kyneton. Healesville sits smack-bang in the Yarra Valley and, as such, is fringed by grape-strewn vines, verdant pasture and orchards, and gentle hills. Meander along the shop- and café-lined section of Maroondah Highway to get your bearings with a takeaway coffee in hand, or stock up on supplies to fuel you through one of the walks in Maroondah Reservoir Park. Ring ahead to see if you can catch a demonstration at Healesville Glass Blowing Studio, check out an exhibition at nearby TarraWarra Museum of Art, jump onto a scenic joyride aboard the Yarra Valley Tourist Railway, or families can go for rounds of mini golf or labyrinth wanders at Hedgend Maze. Continue past Geelong (even though Victoria’s second-largest city more than warrants its own day trip) to the wider Bellarine Peninsula. 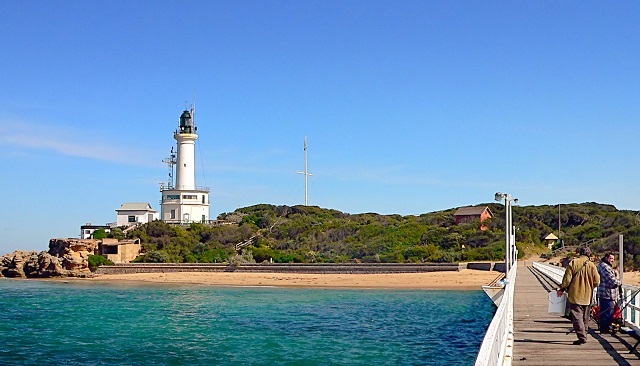 Paddle through the shallows or walk along the Barwon Heads jetty; take a tour of the Point Lonsdale Lighthouse and learn about the history of Fort Queenscliff. Sit down to a meal at Terindah Estate, Jack Rabbit or Merne at Lighthouse, or order a tasting paddle at Flying Brick Cider Co, Queenscliff Brewhouse or any of the other tempting stops along the Bellarine Taste Trail. Tasmania is known for its stunning scenery, so make sure you get amongst it over the Easter long weekend. Mount Field National Park offers a number of quick and easy – but incredibly beautiful – walking trails, including those to Russell Falls and Horseshoe Falls. The Waterfalls Cafe and Gallery is a great place to stop for a feed, or else you can simply pack a picnic and then claim your own quite pocket of the Derwent Valley for lunch. 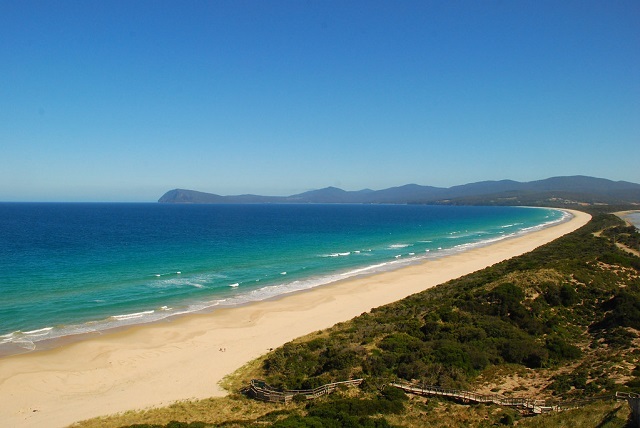 If you haven’t yet made the voyage to Bruny Island, make it a priority these Easter holidays. Accessed via a short car-ferry ride, this island is a foodie’s haven, with must-visit stops including the Bruny Island Cheese Company, Get Shucked oyster farm, Bruny Island Premium Wines and the Tasmanian House of Whisky. If you’d rather leave the car behind and let someone else do the driving, a tour out to the Clare Valley is an incredible way to spend a day. As one of South Australia’s premier wine regions, the Clare Valley offers a range of delicious vintages to swill and sip, and organising a tour means no one has to miss out on the fun. If wine doesn’t do it for you though, the Clare Valley is also a huge foodie destination, so be sure to make a booking for lunch at one of the region’s excellent restaurants. Make for the banks of the Murray River and one of the most historic towns located along this legendary waterway, Mannum. 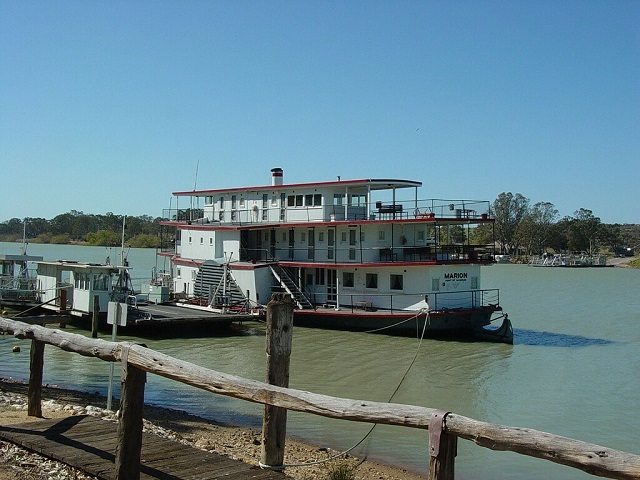 A popular destination for watersports and holiday-makers, a trip to Mannum may start by taking one of three historic walks around town (pick up maps from the Visitors Information Centre), clambering into a canoe to see Mannum’s sights from the water, or heading to Mannum Falls or Big Bend Lookout. Montarto Zoo, the world’s largest open-range zoo, is also nearby and is home to more than 500 animals. A drive to Victor Harbor on the Fleurieu Peninsula sees you arrive in a truly charming coastal destination. One must-do here is walking the length of the bridge that connects the mainland with Granite Island. You could also travel on scenic joyride along the coast aboard a heritage StreamRanger train, visit a local gallery, or rent a bicycle to explore a section of the Encounter Bikeway, a stretch of path between Victor Harbor and Goolwa. Should you choose, your route from Adelaide to Victor Harbor may cut through McLaren Vale; an equally tempting Easter day trip. If the weather is wonderful this Easter (and let’s be honest, when isn’t it in Perth? 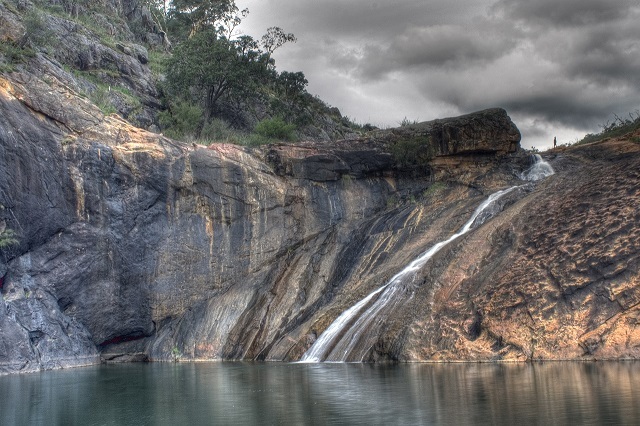 ), then bundle the gang into the car and head out to Serpentine Falls. Located in a picturesque valley, this park features a couple of walking trails, including the Falls Walk Trail and the Kitty’s Gorge Walk Track, which will take you 15 minutes and five hours to complete, respectively. If you’d rather take it easy, pack a picnic and claim your spot on the lawn. Just don’t be surprised if you’re greeted by some friendly grey kangaroos. This gorgeous hidden gem just 35 kilometres from Perth is great to visit any time of year, but there’s an added bonus to making the drive during the Easter break: a kid-friendly scavenger hunt. Araluen Botanic Park features 59 hectares of developed gardens comprised of both native and exotic plants. It’s the ideal place to get away from the hustle and bustle of the city and just spend a day lazing around in nature. Pack a picnic, and your day is set. There are few day trips more enticing than the Sunshine Coast, with this sun-kissed destination offering both salty beaches and lush forests. If Easter happens to be a warm one this year, you won’t want to venture far from the water, but the Kondalilla Falls Circuit is a lovely 4.7-kilometre walking trail for those who are feeling a little more adventurous. If you left your walking shoes at home, Gardners Falls is another easily accessible waterway that’s perfect for a swim. Don’t let the name of this peak put you off, Mount Warning is a worthy destination for keen hikers and outdoor enthusiasts. This trip does mean crossing state borders from Queensland into New South Wales, and eager explorers may be tempted to turn this pilgrimage into an overnight camping trip so they can summit the mountain in time for sunrise. The peak is located within Mt Warning Rainforest Park and the trek to the summit comes in at about a five-hour return journey. The park also has shorter walks. Move away from the coast by heading west towards Ipswich, the oldest provincial city in Queensland. With a healthy helping of heritage facades, good cafes and quirky antiques shops, Ipswich is a day trip destination that has something for everyone. Duck into local provedores to pick up fare for a picnic in Queens Park, the city’s foremost green space that is also home to a Japanese garden and mini zoo. Learn about Ipswich’s history at the Workshops Rail Museum, or see one of Queensland’s best regional galleries at Ipswich Art Gallery. Be sure to climb the five-storey water tower on Denmark Hill for a sweeping outlook across the townscape before heading back to Brisbane. If you’re looking for things to do on Easter, one of these day trips is just the ticket. You might even be inclined to get cracking on more than one. And if one of these interstate outings does catch your eye, you can easily get to all departure points thanks to flights to Webjet.